Earlier this month, airline industry group IATA warned again about a global airport capacity crisis. With passenger levels projected to nearly double to 7.8 billion by 2036, infrastructure such as airports and air traffic control systems are not keeping pace. Governments need to urgently tackle a capacity crisis facing airports as demand for international travel grows.When expansion cannot be done the traditional way by expanding infrastructure, increasing operational efficiency is a way to go and this month we have put together stories about topics related to the capacity issue; Congestion at airport as a challenge, A-CDM as one efficient solution. We also share with you a first part in a series of two about the Carbon Offset Reduction Scheme in Aviation, CORSIA. Handling CO2 emissions in a sustainable way is a global challenge, particularly in China which is one of the regions we highlight in this newsletter. Read about ADB SAFEGATE´s project in PuDong and also mark your calendar for Inter Airport China in Beijing, September 5-7.Enjoy reading and please share your feedback with us via marketing@adbsafegate.com. BLOG. Air travel has transformed the way the world sees distance. Moving halfway round the globe often takes only a day. But airport congestion still brings more inconvenience than it should. Most aircraft journeys are smooth and seamless affairs. But transfer stops are still the bane of all long distance journeys. At best, the long distance passenger will wait an hour or so at a key hub airport. But if there are any delays at all on the schedule, the trip can become a nightmare. And probably the main culprit for delays is airport congestion. VIDEO. 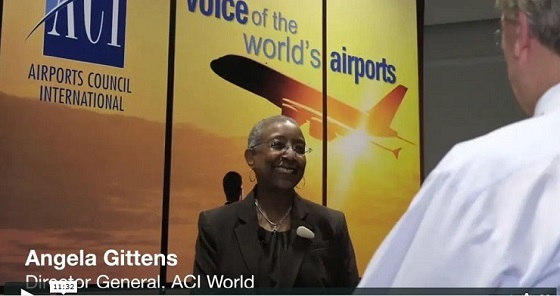 Our guest blogger from Momberger Airport Information spoke with Angela Gittens, Director General of ACI World and Olivier Jankovec, Director General, ACI EUROPE about the latest challenges and opportunities for airports around the world at the ACI 10th Annual Airport Economics & Finance Conference & Exhibition, London, United Kingdom. BLOG. According to some reports, the amount of data collected by operators is increasing like a supernova; up to 90% of data ever created has been collected and stored in just the last two years. But are airports making the most of this valuable asset? AIRPORT SUCESS STORY. For some time, the Chinese market has been the largest single country market of our A-VDGS solutions, from the more than 8000 units sold worldwide one in eight goes to China. Our latest win is at the PuDong Airport for the Satellite Terminal A-VDGS project. In December 2017, we were awarded a contract to supply, deliver, install, test and commission 89 Safedock T1 A-VDGS and an apron management system. It’s the biggest win ever in terms of value for A-VDGS in China. UPCOMING EVENT. 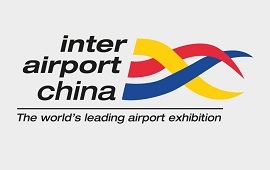 As of September 5th, ADB SAFEGATE showcases its integration solutions at Inter airport in China. You can discover the latest solutions with regards to our airfield ground lighting, our apron and our tower solutions. Besides this we will also prepare a workshop explaining how Chinese airports can create more efficiency with less investments September 6th. Want to know more about our presence? Follow us on social media, via www.adbsafegate.com or contact marketing@adbsafegate.com. CORSIA: Part 1 – Best Solution? SUSTAINABILITY. The Carbon Offsetting and Reduction Scheme for International Aviation (CORSIA) was adopted at the 39th session of the ICAO Assembly in 2016. 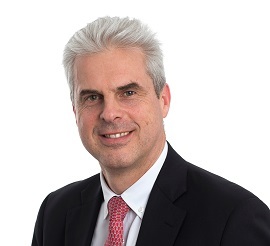 The aim is to address any annual increase in total CO2 emissions from international civil aviation above 2020 levels and contribute to the industry’s commitment to carbon neutral growth from 2020 (“CNG2020”). With commitment from several major players in the industry, a framework of impact mitigation for aviation-sourced greenhouse gas emission levels is taking shape. Slowly. ADB SAFEGATE is a leading provider of intelligent solutions that deliver superior airport performance from approach to departure. We partner with airports and airlines to analyze their current structures and operations, and jointly identify and solve bottlenecks. Our consultative approach enables airports to improve efficiency, enhance safety and environmental sustainability as well as reduce operational costs. Our portfolio includes solutions and services that harmonize airport performance, tackling every aspect of traffic handling and guidance, from approach, runway and taxiway lighting, to tower-based traffic control systems and intelligent gate and docking automation.